Time for yet another comedy gig, and it’s one of those occasions where I’d heard of the comedian before, but knew little of his oeuvre. 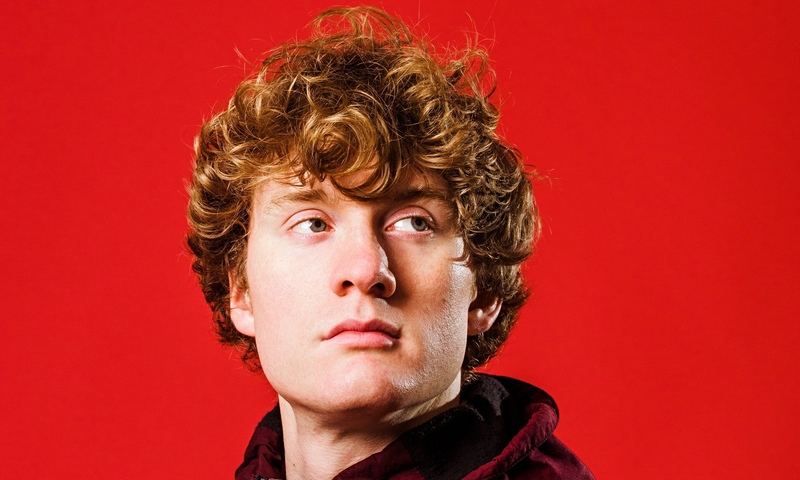 I’d caught fleeting glimpses of James Acaster on TV and he seemed quite quirky, and good enough to risk £15 (£14 to friends of the theatre) on a ticket. Also, considering he comes under the heading of local boy done good, I thought it was only fair we should support him. The Royal Theatre was pretty much packed, so I guess I wasn’t the only one who felt the same. It was the first night of his tour too, so you had that slight edgy feeling of going where no man had gone before, and wondering whether all his relatively untried and untested material would hit the target. 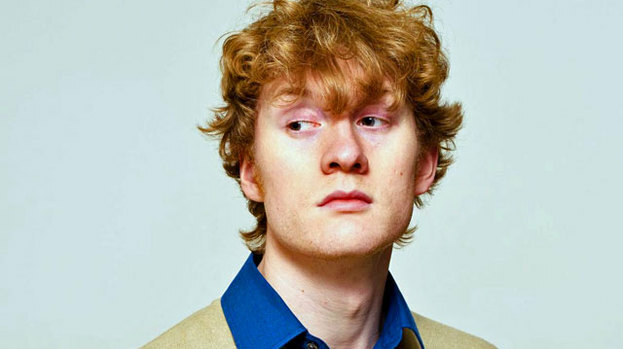 To the rousing nonsequitur of a full choir intoning the stirring words of To Be A Pilgrim – one of my favourite hymns, especially with the old lyrics, and to which I shamelessly sang along – enter Mr Acaster in a shirt and tie combo that only he could get away with. He’s not your conventional vision of how a traditional comic should sound and appear. For the most part, he’s quite softly spoken and extremely laid back. 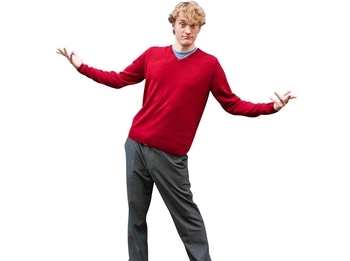 He will break into a half-hearted jazz hands pose unbecoming of his very unshowbizzy exterior; and that sums up the delicate balance of the evening – treading a fine line between a quiet, frequently surreal, rather rambling conversation and a number of very funny, hard-hitting and extremely original set piece routines that create the laughter of recognition. You recognise his comic observations even if you’ve never been in that situation before. For example, I’ve never been a member of a courtroom jury but Mr A painted a picture of so many familiar aspects of a bunch of people thrown together in a hotel that I instantly recognised it; the friendly ones, the weird ones, the bully, and so on. He made me realise there is a very evocative smell of cracking open a new cardboard tube of tennis balls – I may have done that just the once as a teenager, but he brought it all back. He is also an expert at planting seeds of a story early on, just for him to return to later in the gig with added gusto. Some stories thread their way through the entire evening; others he just touches upon lightly, and you know there is a whole new avenue he could explore – but he chooses not to go down there; quite a teasing mechanism for structuring a comedy gig. Despite occasionally seeming quite ponderous, lugubrious almost, with his delivery, he’s also superbly quick witted, seen nowhere better than how he liaises with the audience. Of course, he’s not the only comedian who starts by getting the hang of who’s in the front row, who’s on their own, who’s late, and so on. Jack, 14, with his mum, probably had no idea he would play such a significant part in the proceedings. Towards the end of the show Mr A said something along the lines of “just wrapping up now…” to which someone a few rows back, who presumably hadn’t been enjoying it much, said something like “thank God”; well, let’s just say Mr A heard and dealt with that rejection in a most positive, creative and funny way, whilst absolutely not appearing to take offence, which is a real gift. I doubt whether that person will be that vocal at another comedy gig, however. There were tons of really enjoyable material – postcode-based Northampton gang warfare (I’m in the NN1 Gang too), the ineptitude and mistiming of amateur massage, the real meaning of Christingle, useless driving and an almost LSD-inspired fable that would Aesop turning in his grave. There’s something strangely subversive in his delivery which wrong-foots and fascinates you, and which here culminates in a rather odd ending to the show, where his previously lovely Feng Shui gets decimated and he tucks into what might symbolically be considered an agnostic’s revenge. It’s a very different kind of ending for a stand-up than I’ve seen before, and the jury’s still out as to whether it works or not – but that’s subversion for you. Anyway, his “Represent” tour carries on till December, playing smallish intimate venues that will really work for his sense of humour. Very enjoyable, slightly weird, go see for yourself! P. S. No, I don’t know why it’s called “Represent” either.